L. 2. The Bill for Continuation of Actions and Process after the Death of any King. 1. The Bill for Garbling of Spices in London, &c.
1. The Bill for Reformation of divers Laws and Process in the Laws of this Realm. 1. The new Bill for repealing of Statute of Treasons and Felonies. 1. The Bill for Chauntry Lands and Church Lands. 2. 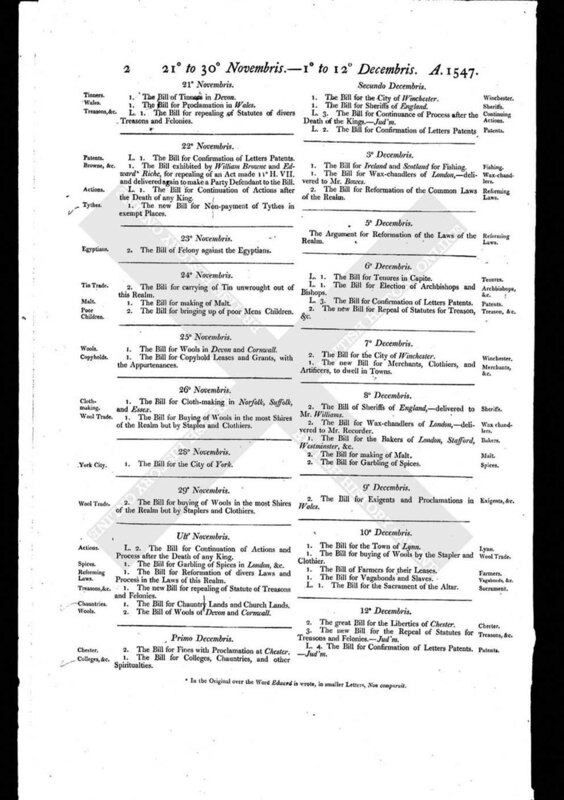 The Bill of Wools of Devon and Cornwall.